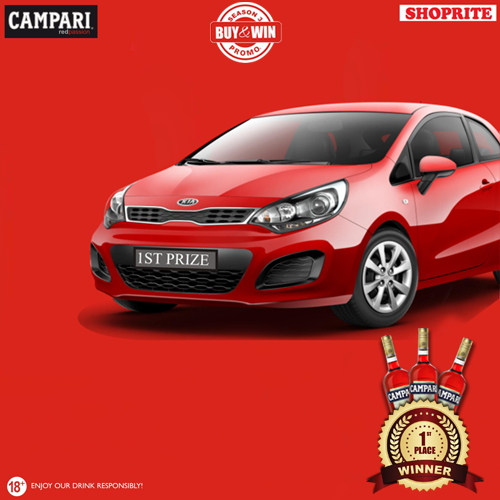 #CampariBuyANDWin Promo has been ongoing. The first and second season has passed. 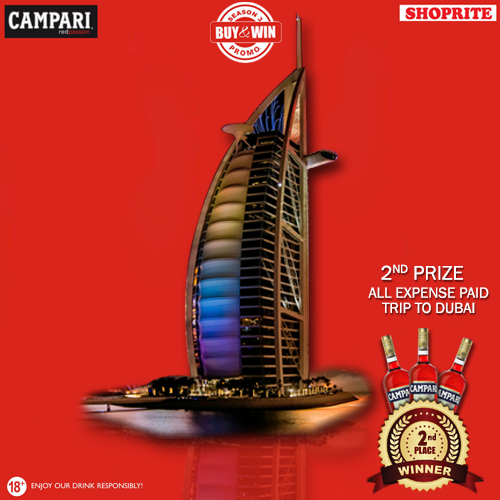 If you missed it, this is your chance to Participate. 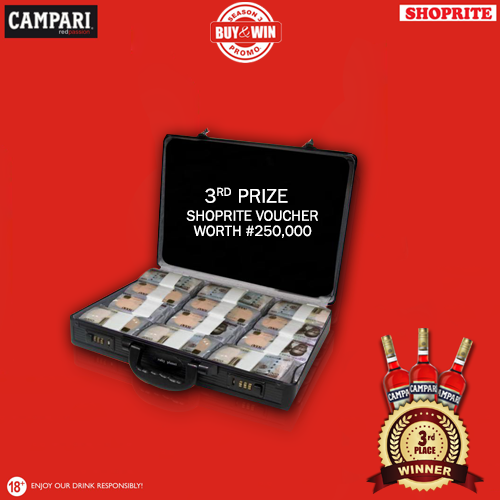 Buy 3 Bottles of Campari From Any Shoprite Branch to Qualify. * Excellent Promo prizes to me. I love seeing Promos like this. Its gives me soo much pleasure. I love my Promo Blog Jare.